He hails from a small town in the western part of Sweden, but 21-year-old Jonas Brodin has emerged as a big-time star on hockey’s greatest stage. Edsvalla is a shade under a four-hour drive from Stockholm and home to about 1,000 people. It is also the place where one of the NHL’s top young defencemen grew up, where as a kid he’d sharpen his skills on the local rink, just 15 minutes from his house. In a season of highs and lows for the Minnesota Wild, Brodin has been a steadying force on a club that at one point in time appeared destined to be watching the playoffs rather than competing in them, but who eventually found their groove and appear post-season bound. While it’s been a collective effort that has given the Wild a shot at a long playoff run, there’s no doubt their 10th overall pick in the 2011 Entry Draft has had a large role in helping right the ship. 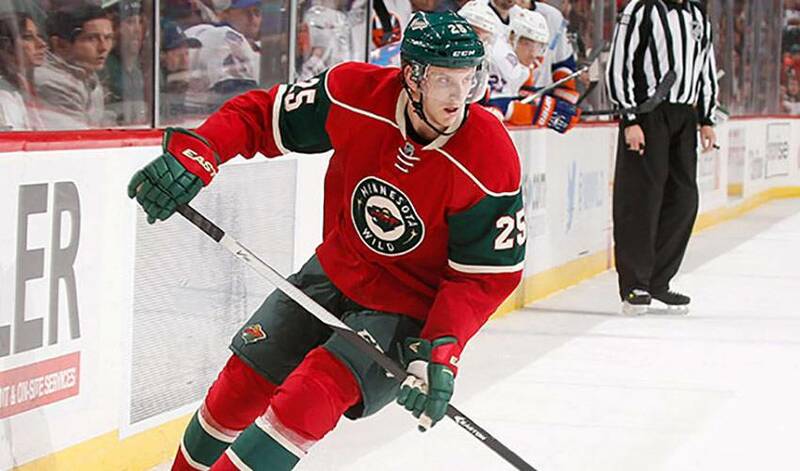 So, what exactly do the Wild have in Brodin? “I'm a mobile two-way defender with good skating and good in both zones,” he noted. Brodin is also a blueliner that plays beyond his years, something noted by several of his teammates, including veteran defenceman Ryan Suter. Calm and collected when called on, the 6’1”, 195-pounder, less than 200 games into his NHL career, is becoming more comfortable with each game and each touch of the puck. He’s also lived up to what his pre-NHL scouting report read. Just like his role model and fellow Swede did, a seven-time Norris Trophy winner who he tries to pattern his game after. While a long-term career appears to be a given, Brodin has his sights sets on the short term, namely, in helping Minnesota go deeper in the playoffs than they did in 2013-14, when they were ousted in six games by the Chicago Blackhawks in the Western Conference semifinals.